At Bush & Heise we can set up any type of trust to meet your estate planning goals. From revocable or irrevocable trusts to living trusts, our estate planning lawyers can meet with you to help determine what type of trust is your best option. If you need help planning your estate, contact a one of our Barrington trust attorneys by calling 1-847-382-4560 to schedule a free initial consultation to explore your options. Minimization of estate taxes: A trust can help you avoid estate taxes, particularly when your estate exceeds the current credit shelter amount. Avoid probate: Probate can be a lengthy and expensive process. A well-crafted trust will avoid probate of your estate. Control when inheritance is distributed: A trust can be set up to disburse inheritance to your heirs at a time of your choosing. Under a will, your heirs will collect at once, which can lead to obvious problems if your heirs are young adults. Confidentiality: Probate proceedings are public information. If it is important to you to keep the value of your estate private, a trust will assure confidentiality. These are just some of the advantages a trust affords. 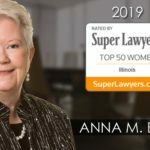 Our experienced Barrington trusts attorneys can inform you about the various trusts available, from special needs trusts to insurance trusts. Our law firm can help you with all of your estate planning needs. Special needs trusts are used to provide money for disabled children, disabled spouses and elderly parents without making the beneficiary ineligible for governmental benefits. If you are concerned about your personal savings being exhausted by nursing home expenses, you can also create a special needs trust for yourself as a part of the Medicaid planning process. If you place money in a special needs trust for a disabled beneficiary, that money is not counted as the beneficiary’s personal asset when determining eligibility for Medicaid or other government benefits. If you give the money directly to the beneficiary, it must be spent before the beneficiary is eligible to receive government benefits. If you would like to learn more about special needs trusts, contact one of our experienced estate planning attorney to schedule a free, no obligation initial consultation to better understand your options. Many people are reluctant to set up a special needs trust for themselves because they are concerned about losing control of their assets. While you will lose control of your assets if you place them in special needs trust, you need to weigh that against the benefit of preserving your assets. Our estate planning lawyers have over 40 years of experience assisting clients with special needs trusts. Contact our estate planning law firm to speak directly with an attorney. Attorney Brian L. Heise is member of National Academy of Elder Law Attorneys. 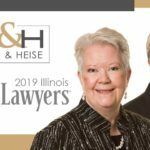 If you would like to know what estate planning options are available to you, contact a one of our Illinois living trust lawyers today.